La eficiencia de las terapias del procesamiento visual y auditivo y la percepción de los mismos. Consecuencias y factores derivados, tratamientos. Aprueban (incluso con buenas notas) o suspenden y tienen que dedicar mucho más tiempo y esfuerzo que sus compañeros a estudiar o hacer los deberes para obtener los mismos resultados. Abandonan, no se ven capaces de realizar el esfuerzo necesario, teniendo un fracaso escolar. Cualquiera de estos estudiantes pueden tener dificultades visuales y/o auditivas que influyen en su aprendizaje. Todos estos estudiantes pueden mejorar con nuestros tratamientos, aumentando su rendimiento y su autoestima. ¿La visión influye en el aprendizaje? Del 75 al 85% de todo lo que un estudiante aprende lo recibe por vía visual. Si hay algún problema en sus capacidades visuales, no desarrollará su máximo potencial y el proceso de aprendizaje se verá afectado. Se pueden tener dificultades visuales aunque no se necesiten espejuelos. En general se piensa que ” ver bien” es ver nítidas las imágenes de lejos y de cerca. Pero aunque para un estudiante ver lo escrito en la pizarra o en su libro es necesario, ¿de qué le serviría si no es capaz de leer más de 10 minutos seguidos sin cansarse o aburrirse?. La visión es un proceso neurológico por el cualidentificamos, interpretamos, comprendemos y memorizamos la información que nos llega a través de nuestros ojos. En las dificultades de aprendizaje influyen los malos movimientos oculares (de seguimiento y sacádicos), la fijación ocular, la insuficiencia de acomodación (dificultad de mantener el enfoque de cerca durante un tiempo prolongado) y la insuficiencia de convergencia (dificultad de usar los dos ojos a la vez de cerca). Según David B. Granet, M.D. : “La insuficiencia de convergencia es un problema que hace difícil mantener ambos ojos dirigidos y enfocados a un punto en cerca, haciendo difícil mantener la concentración al leer”. ¿La audición influye en el aprendizaje? Si la visión influye en el aprendizaje, es indudable que la audición también, en muchos casos la relación de estas dos percepciones sensoriales es necesaria y casi imprescindible. ¿Los reflejos primitivos influyen en el aprendizaje? Los reflejos primitivos son respuestas musculares involuntarias a estímulos sensoriales. Surgen en la edad fetal, están presentes en el nacimiento y hasta el año y medio de vida aproximadamente, son necesarios para el desarrollo del cerebro y del sistema nervioso, siendo la base de las habilidades motoras y de los reflejos posturales (reflejos que se desarrollan durante los primeros años y permanecen durante toda la vida). ¿Cómo tratamos las dificultades de aprendizaje? procesamiento de la información que se recibe, de forma rápida y eficaz. Más abajo les propongo algunos materiales relacionados para entender mejor la eficiencia de estas terapias. Visual processing disorder refers to a reduced ability to make sense of information taken in through the eyes. This is different from problems involving sight or sharpness of vision. Difficulties with visual processing affect how visual information is interpreted or processed. A person with visual processing problems may have 20/20 vision but may have difficulties discriminating foreground from background, forms, size, and position in space. The person may be unable to synthesise and analyse visually presented information accurately or fast enough. The eyes look and the brain sees. Magnocellular pathways (large cell bodies) concerned mostly with movement detection. Considerable research indicates that in Dyslexia these cell bodies may not differentiate their functions adequately. Consequently Dyslexics may have a range of visual dysfunctions and overlapping of functions between these two pathways. There is growing evidence that dysfunction in parvo and Magnocellular pathways are responsible for Visual Motion Detection Difficulties in Dyslexics and some forms of Learning Difficulties. The white page of a book (background contains all colours and hues) can overwhelm Parvocellular (P) cells and also activate Magnocellular (M) cells by mistake. The page of text can appear to be mostly blocks of blurred black (text) with rivers of white running in between. The orientation of letters and text may keep changing “d and b” becoming difficult to differentiate. Hence the child may reverse letters. Using a coloured visual filter (Irlen lenses) can help some people with dyslexia by reducing the colour that may be overwhelming or scrambling the P and/or M pathways. Children with Dyslexia can find it difficult to visually track text on a page as this requires fine movement and very tight eye muscle control. The cerebellum, a part of the brain that plans our movements a fraction of a second before we execute them, orchestrates this extremely fine motor control. Children with dyslexia often also suffer from dyspraxia (difficulties with fine and/or gross motor control (e.g. awkward gait). Two tests, used at the Behavioural Neurotherapy Clinic, can test whether Visual Motion Detection dysfunction may be responsible for reading difficulties or suspected Dyslexia. In the first test, a number of dots move randomly on the screen. The test requires the subject to press a key to indicate that he/she has detected that a percentage of the dots move towards the left or the right at the same time (coherent motion). The percentage of coherent dots is increased until the child can detect coherent motion. Children with Magnocellular dysfunction detect coherent motion at a higher percentage of coherent dots than those without visual difficulties. 16 degrees per second) to the right or to the left. The child has to press one of two buttons to indicate detection of motion (left or right). Electrophysiological recordings detect the brain signals associated with movement detection and these are compared to those seen in Scheuerpflug’s 2003 study. This methodology is used to establish whether Magnocellular pathways may be involved in learning difficulties and to evaluate the effects of nutritional treatment and/or behavioural optometry exercises prescribed. Visual processing disorders, which are NOT related to the ability to see clearly, involve difficulties understanding visual information such as movement, spatial relationships, form, or direction. Visual processing disorders, together with Central Auditory Processing Disorders, frequently result in dyslexia or poor academic performance. Difficulties in visual closure can be seen in such school activities as when the young child is asked to identify, or complete a drawing of a human face. This difficulty can be so extreme that even a single missing facial feature (a nose, eye, mouth) could render the face unrecognisable by the child. The ability to perceive the location of objects in relationship to other objects is a critical skill in reading, math and handwriting, where a child must be able to recognise the different symbols, perceive their direction, tell the difference between similar shapes and determine where these are located in relationship to each other. Individuals who have difficulty with spatial relationships may seem unusually clumsy or accident prone may have difficulty reading or may refuse to read, or may have poor handwriting (dysgraphia). Whether it is the differentiation of the shape of a circle from a square or the letter b from d, the ability to perceive the shapes of objects and pictures is an important skill for the developing child to acquire. There is hardly an academic activity that does not require the child to engage in form discrimination. The most obvious classroom activity requiring the child to discriminate forms is that of reading. The learning of the letters of the alphabet, syllables, and words will undoubtedly be impeded if there is difficulty in perceiving the form of the letters, syllables, and words. Visual discrimination allows us to tell the difference between similar objects, tell where one object ends and another begins, and to recognise objects and symbols when only part of it can be seen (or when it is fuzzy). Individuals who have visual discrimination disorders often mix up letters or numbers and have difficulty reading or scanning pictures for information. Visual memory is a critical part of academic skills. It allows us to recognise objects and to remember letters, numbers, symbols, words, and pictures. In cases of partial visual agnosia (visual access problems), what is learned on day one, “forgotten” on day two, may be remembered again without difficulty, on day three. Some individuals have difficulty perceiving or integrating the relationship between an object or symbol in its entirety and the component parts which make it up. Some children may only perceive the pieces, while others are only able to see the whole. Children with a visual integration disorder will have difficulty learning to read (dyslexia) and recognising symbols. The ability to track moving objects while seated or standing, and the ability to keep a stable visual image when the head or eyes are in motion is part of the ocular-vestibular system. Individuals who have visual pursuit disorders have difficulty watching moving objects (e.g. on videos or computer programs), difficulty copying from the board, and difficulty reading. A Behavioural Optometrist working in conjunction with the Clinic carries out assessment for Visual Processing Disorder. It is important that the assessment be thorough and identifies the specific dysfunction that can then be addressed by a combination of the most effective Interventions. A successful intervention must be based on identifying the specific types of visual processing problems that exist. Since each assessment activity is designed to address a specific processing problem, interventions must be designed for a specific individual based on standardised test results. Typically, interventions involve daily EYE EXERCISES , work with specific computer programs, Neurotherapy, physical games and activities, and academic adjustments. The behavioural Optometrist will make recommendations for optometric exercises and the Behavioural Neurotherapy Clinic may recommend Nutrient Supplements and/or Neurotherapy protocols to retrain relevant brain areas associated with visual processing that are identified through Brainmapping as having less than optimum function. Las dificultades del procesamiento visual no pueden ser “curadas”, pero hay muchas estrategias y apoyos que pueden ayudar. La terapia visual puede ayudar con la coordinación de los ojos. La terapia educativa puede ayudar a los chicos con dificultades del procesamiento sensorial a aprender cómo trabajar alrededor de sus limitaciones. Si su hijo tiene dificultades de procesamiento visual o si sospecha que las tiene, hay algunas opciones de tratamiento que pueden ayudar. Pero es importante que primero averigüe qué es lo que le pasa a su hijo. Esto es importante, ya que los niños que tienen dificultad para procesar la información visual podrían, también, tener dislexia. Es conveniente saber si su hijo tiene cualquier problema de visión. Esos problemas son diferentes al trastorno de procesamiento visual, por lo que la terapia que ayuda a un tipo de dificultad puede que no sirva para otras dificultades. 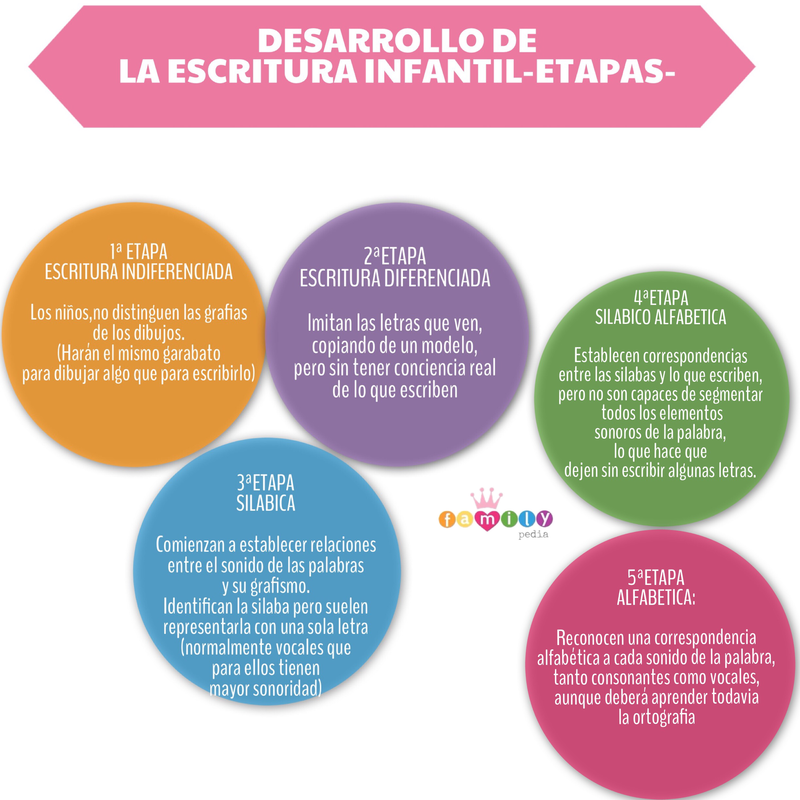 Con las estrategias y el apoyo adecuado, los chicos con dificultades del procesamiento visual pueden aprender a leer y escribir bien. Estas son algunas de las cosas qué ayudan con las dificultades de procesamiento visual. Mientras lee recuerde que existen muchas formas no médicas para ayudar a los chicos con esas dificultades a salir adelante en la escuela y en la vida. ¿Existen medicamentos que ayudan a los chicos con dificultades del procesamiento visual? No hay medicamentos para tratar las dificultades del procesamiento visual, pero si cree que su hijo también tiene ADHD u otra dificultad como depresión o ansiedad, hable con su médico. Juntos pueden decidir un plan de tratamiento para cualquier dificultad concurrente. Dependiendo de las dificultades de su hijo, el médico puede ayudar a decidir si el plan de tratamiento incluirá medicación para el ADHD, antidepresivos o ansiolíticos. ¿Qué tipos de terapia e intervenciones pueden ayudar a los chicos con dificultades del procesamiento visual? Hay tres clases de terapias que son importantes que conozca si está buscando maneras de ayudar a su hijo con dificultades del procesamiento visual. Terapia visual: Las dificultades de coordinación visual son diferentes a las dificultades del procesamiento visual, las cuales involucran la manera en la que el cerebro procesa la información que el ojo registra. No es inusual que niños con dificultades como dislexia o ADHD también tengan insuficiencia de convergencia. La terapia visual no “cura” las dificultades de aprendizaje y de atención, pero resolver problemas visuales, como la insuficiencia de convergencia, permitirá que los chicos inviertan más energía en encontrar estrategias que ayuden la manera como su cerebro procesa la información. Terapia visual comportamental: Es diferente de la terapia visual optométrica. La terapia visual comportamental u optometría comportamental involucra ejercicios del ojo que están diseñados para mejorar la percepción visual. Estos ejercicios también están diseñados para mejorar las habilidades del procesamiento. Sin embargo, no existe evidencia científica que demuestre que este tipo de terapia ayuda al cerebro a procesar la información visual. Por esa razón, la terapia visual comportamental es considerada como una terapia controversial para las dificultades de aprendizaje y de atención. Evidencia anecdótica sugiere que puede ser de ayuda para algunos niños. Pero desconfíe de cualquier tratamiento que proclama “curar” las dificultades de aprendizaje y de atención. Terapia educativa: Los chicos con dificultades del procesamiento visual pueden beneficiarse de la terapia educativa. Este tipo de terapia enseña estrategias a los niños para que trabajen en torno a sus limitaciones. Aprender cómo abordar los problemas puede reducir la frustración, aumentar la seguridad en sí mismo y tener más éxito en la escuela. ¿Qué estrategias educativas son útiles para las dificultades del procesamiento visual? Existen muchas maneras no médicas que pueden usar los padres y las escuelas para ayudar a los niños con dificultades del procesamiento visual en la escuela y en el hogar. Recuerde que el aprendizaje puede ser multisensorial. Los chicos que tienen problemas para asimilar la información visual pueden ser apoyados con actividades manuales, así como también, escuchando. Por ejemplo, usted y el maestro podrían decir en voz alta las indicaciones que están escritas en la pizarra o en su hoja de tareas. Hay muchos tipos de adaptaciones que se usan en el salón de clase para ayudar con las dificultades de aprendizaje y de atención. Una de las más importantes para chicos con dificultades del procesamiento visual es permitir que tengan descansos frecuentes durante la clase. Esto puede ayudarles a evitar la tensión en los ojos y mejorar el enfoque. Otra área que pudiera querer discutir con la escuela es la toma de notas. Si tomar apuntes es difícil para su hijo, puede pedirle al maestro que le de a su hijo una copia de sus notas o que le permita grabar la clase para que la pueda escuchar otra vez en la casa. En la casa, asegúrese que el lugar asignado para hacer las tareas está limpio y ordenado. Esto puede ayudar a minimizar las distracciones visuales. Es útil hacer la tarea de matemáticas en papel cuadriculado. También pude ser útil cubrir partes de la tarea de matemáticas con hojas de papel. ¿Qué más puede ayudar a los chicos con dificultades de procesamiento visual? Es buena idea aprender sobre la tecnología de asistencia y las herramientas adaptativas. Por ejemplo, existe una herramienta simple conocida como cinta para guiar la lectura que podría ayudar a su hijo con textos impresos. Tal vez desee explorar nuestro Buscador de tecnología para enterarse de apps, juegos y programas de computación recomendados para ayudar con las dificultades para leer. Tenga en cuenta que mientras más entienda sobre las dificultades de su hijo más fácil será que encuentre estrategias útiles. Consulte con el médico y el maestro de su hijo sobre qué puede hacer para ayudarlo a salir adelante. Desconfíe de cualquier tratamiento que proclama “curar” las dificultades de aprendizaje y de atención. La terapia educativa puede ayudar a que su hijo desarrolle estrategias para mejorar sus limitaciones. Existen muchas cosas que pueden hacerse en la escuela y en la casa para reducir la frustración de su hijo y ayudarlo a lograr sus metas. Vamos a visionar unos videos con algunos de los tratamientos propuestos en estos de casos y que nosotros los hemos aplicados por igual en nuestro Centro. Edades: 3 y 12 años. Se paga mensual : $120 / 4 semanas, 12 horas. PLAZAS LIMITADAS : 10 niños por dia. Para inscripción se necesita que el niño sea evaluado psicometrico y neurologico en nuestro Centro. Si tienen una prueba psicometrica reciente la consideramos. La evalución neurologica es mandatoria con el nuestro neurologo. Se accepta planes medicos. Anterior Entrada anterior: En la nueva era del aprendizaje, los colegios han visto la necesidad de transformar su modo de operar, brindándole a sus estudiantes un ambiente más ameno y divertido con el fin de que se comprometan con su proceso académico y sean ellos mismos quienes controlen qué y cómo aprenden.